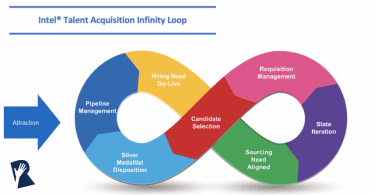 What is the most important skill that a successful Recruitment Marketer needs to have? Alright, full disclosure, that was a trick question. 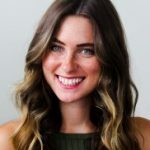 Recruitment Marketing is a strange (and wonderful) beast that requires a whole slew of skills – and all of the above are perhaps equally important. But copywriting is definitely right up near the top of the list! Writing compelling and effective copy will make the difference between someone noticing your content vs. scrolling on by. 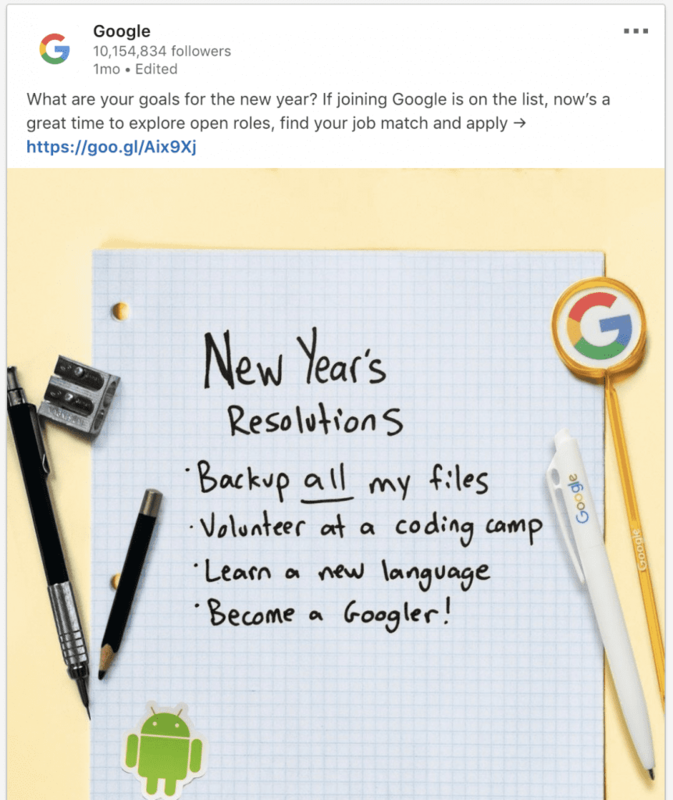 Good copy can motivate people to action: to read, like and click on your ad – and to join your talent network, attend a recruiting event or apply to a role. 1) Get familiar with your target candidates, then write with their interests in mind. This is one of the first (and most important) rules of good writing. Who do they want to hear from at your organization? Which messages are likely to convince them to take action? In Recruitment Marketing, many of us create candidate personas as an exercise to get to know our audiences better. This process typically involves talking with a few internal experts to learn about a role type that you’re trying to target. If you want to learn more on how to develop candidate personas, take a look at this blog by RallyRM Mentor Ben Gledhill: How to Create Candidate Persona Maps (Template Included). 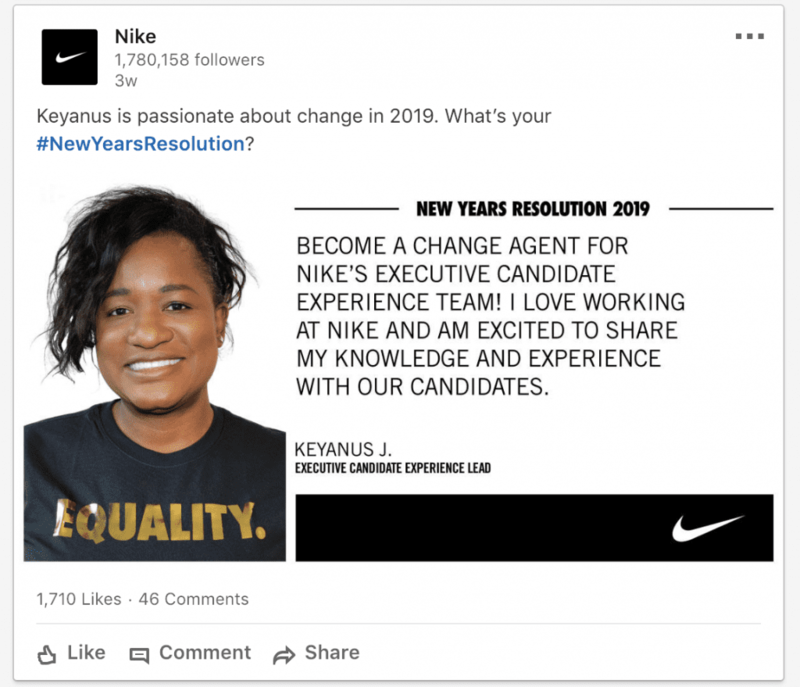 You can also use this approach to develop more personalized content that really speaks to the candidate’s interests, needs, pains points and motivations. We saw this in action recently with Citadel’s student and intern pages on their careers site. 2) Address your audience directly with personal pronouns. 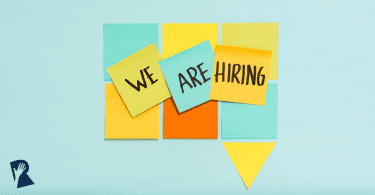 Have you ever come across a job description that addressed you (the reader) as “the successful candidate,” or worse yet, “the successful incumbent”? How did it make you feel? Likely, a little disengaged and discouraged. This type of language makes me feel like the writer of that copy is addressing someone else. Someone other than me. As simple as it seems, referring to your audience as “you” goes a long way in making candidates feel seen. The aim here is to make people feel like you’re talking to them directly, to better motivate them to action. 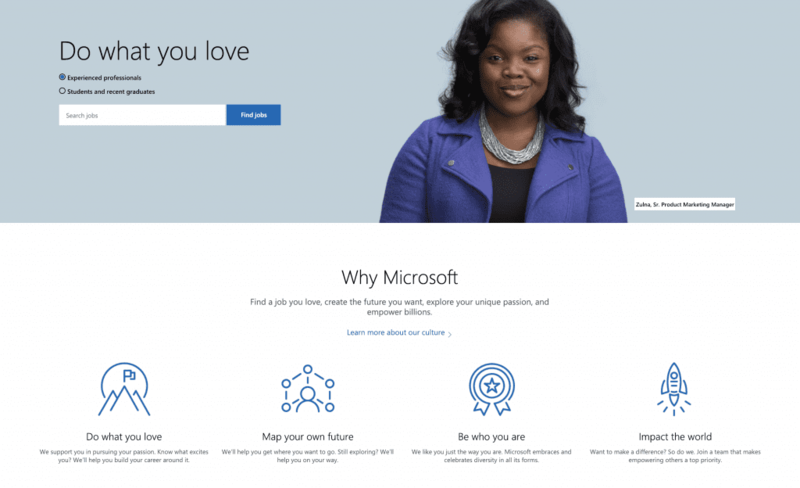 You can see this approach in action on Microsoft’s careers site. How many times can you spot the words “you,” “we” and “our” on their careers home page? 3) Keep your objective front and center – and don’t forget a call to action! When writing any type of content, it’s a good idea to start out by asking yourself a few questions. 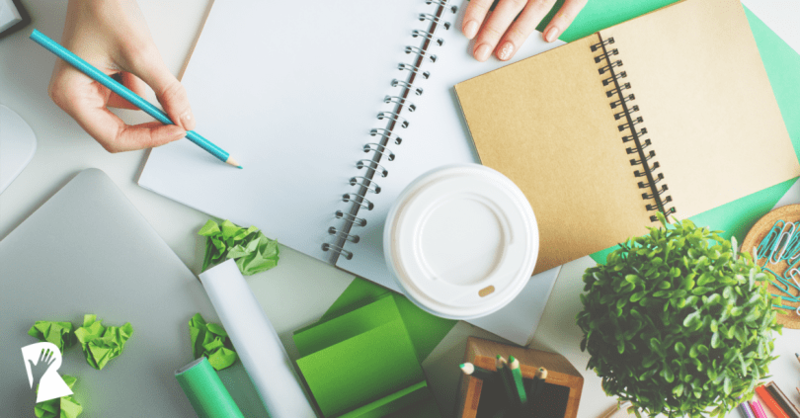 If content creation is central to your role, you may have to juggle creating multiple content pieces at all times: from blog posts to site copy, and from advertisements to social profiles, the list likely goes on and on. When you’re producing content fast and heavy, it can be easy to assume that your audience knows why you’ve created something and what you want them to do after engaging with it, but that isn’t often the case. For instance, it can be easy to post a picture of an employee-led volunteer event on social without thinking through what you want people to take away from the post. In many cases, you’ll want to consider what you’re trying to achieve and if there’s an appropriate “call to action” (like a link to your careers site to find out more info) that you may use with the post. 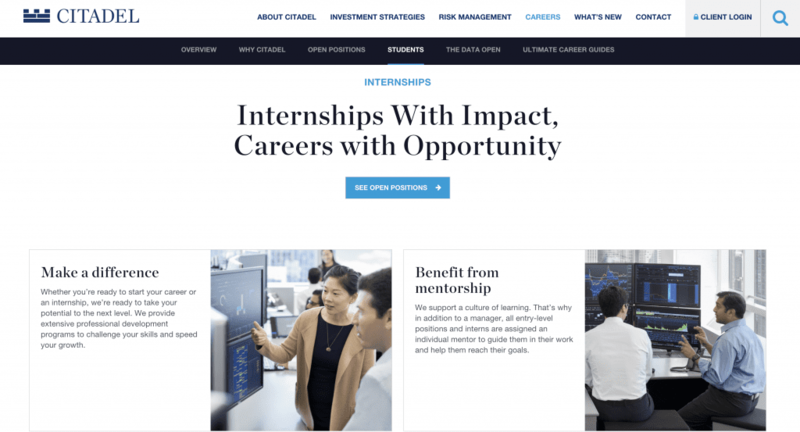 A candidate would finish reading this type of content with a clear idea of what their next action might be: to explore opportunities and consider developing the next stages of their career with McKinsey. 4) Create a solid hook to capture candidate attention. Unfortunately, the content we create doesn’t exist in a vacuum. Candidates have a ton of content competing for their attention at the same time on any social media platform. As you can tell by this list – and I’m sure by your own social media usage – our attention is being pulled in a lot of different directions at once. As Recruitment Marketers, we have a lot of work to do to cut through the noise. This is where creating a solid hook at the front of any of your content pieces becomes mission critical to attract and retain attention. What do I mean by a hook, you might ask? By “hook” I mean the first sentence or two of your social post, blog or site copy that draws people in. For instance, my “hook” for this piece was grabbing your attention with a “pop quiz.” This is an unusual and surprising way to start a blog post. The fact that the start of the post was fun, engaging and stood out from other posts may have driven you in to read more. (Or maybe you’re just really interested in copywriting and skimmed through the first few intro paragraphs – no judgment!). 5) Be concise and use simple language. Humans don’t have very long attention spans. According to research out of Princeton and UC Berkeley, humans can only concentrate in quarter-of-a-second blocks. And it’s not because of the internet or our smartphones – we’ve always been this way, according to new research. Good copy needs to take this into account. We should keep things brief and to the point. Short sentences, short paragraphs and simple language are all best practices for creating something that people will actually read. For the same reasons as lesson 5, copy should also be easy for candidates to skim through. For example, I’ve made this blog post easily skimmable for you by bolding all of the headlines, using bullet points and keeping my sentences and paragraphs as short as possible. Consider how you can format or reduce your copy to do the same thing in some of your longer-form content, like on your careers site or blog. 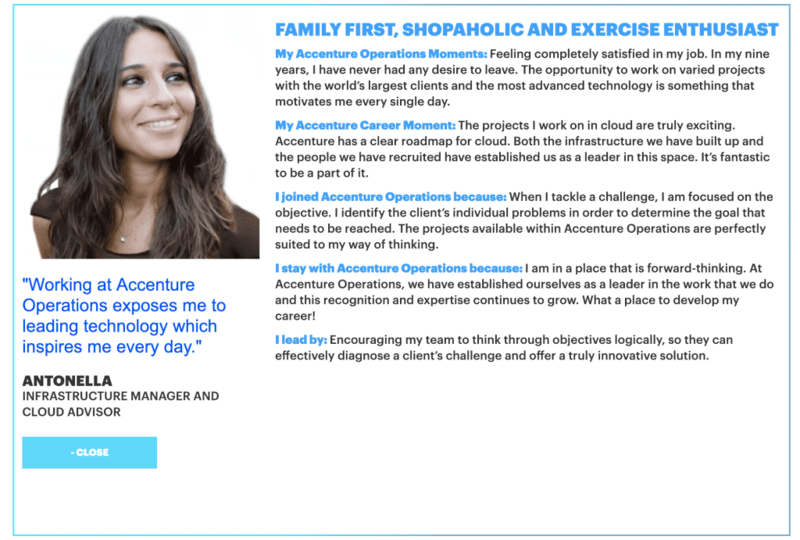 You can take a look at Accenture’s careers site for a solid example of this in action. Each of their people profiles is shown in a small preview window, that you can expand for the full feature. This approach makes the content appear more interesting and faster to read because of the colored headers, short paragraphs and pull quotes. People are hard-wired to respond to stories. We’ve evolved to pay attention to narratives because they are a channel that has been used to pass on important norms, warnings, life lessons and more (Time). However, telling stories well isn’t easy. And we have more stories to compete with now than ever before! So, how do you tell great stories? Before you put fingers to keyboard and start writing copy, you need to really do some detective work to figure out the most compelling part of the story. This is what you might use to “frame” the story. 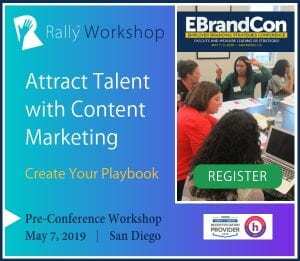 From there, you could try to pull all the tips we’ve already covered together to tell stand-out stories about your employees and organization. Will the story be interesting to my target candidate group? Does the story have a good hook to draw people in? Am I using simple language so that the story, not the writing, is front and center? Did the way I structure the story give people the chance to skim if they are short on time? And because we aren’t telling stories just to tell stories, but also with a goal in mind – is there a clear call to action associated with my story? 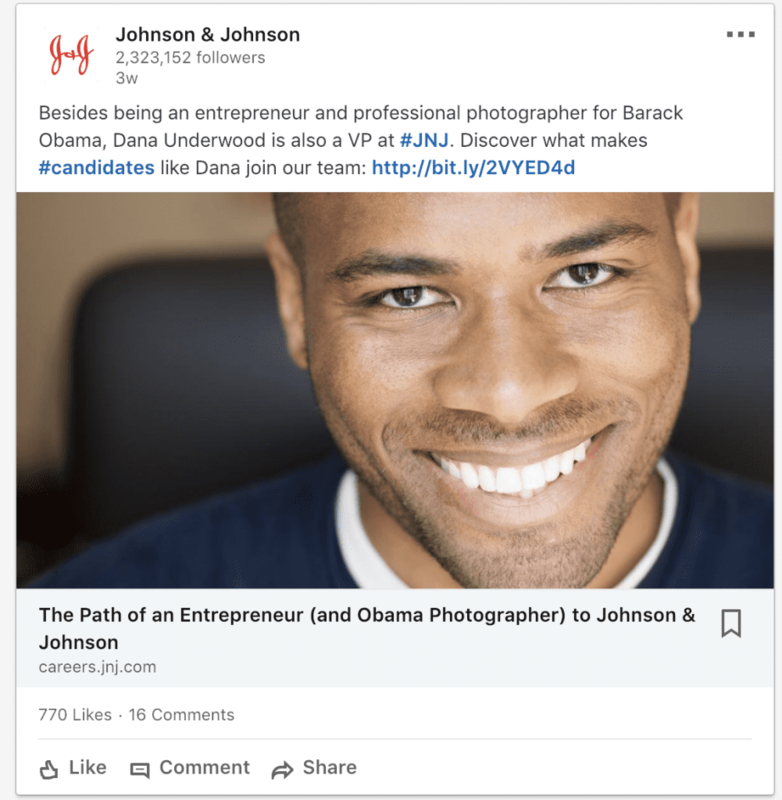 Johnson & Johnson provides a strong example of storytelling done right in their social post. They found an interesting and unique angle (that their employee is a professional photographer and has taken photos of Barack Obama), and they put that front and center to draw people in to find more. Let us know if you put any of these tips into play by reaching out on the Rally Facebook or Rally Twitter page. We’d love to hear from you!